In 2007, he ﬁrst traveled into space aboard the Space Shuttle Discovery as a mission specialist of STS-120. 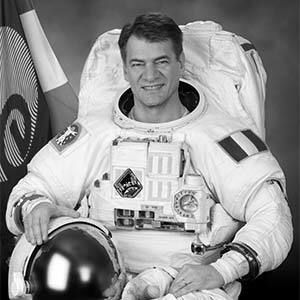 Paolo Nespoli is an Italian astronaut of the European Space Agency. In December 2010 he again traveled into space aboard the Soyuz TMA-20 spacecraft as an Expedition 26/27 ﬂight engineer.